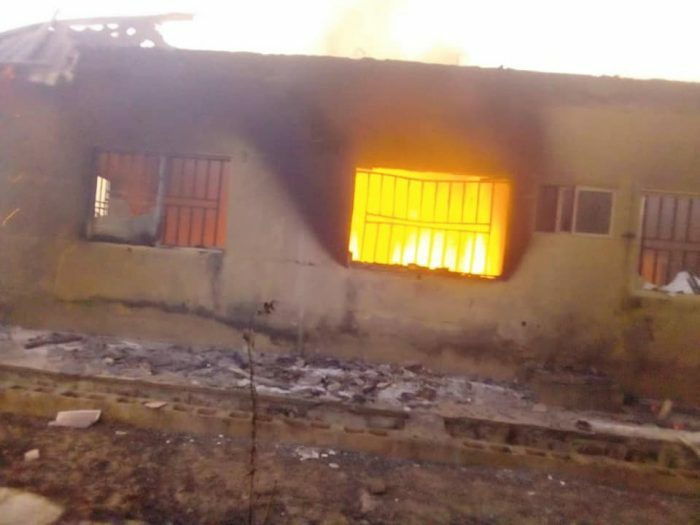 Thugs alleged to be members of the All Progressives Congress have set ablaze PDP campaign office. A Peoples Democratic Party campaign Office belonging to the Party’s Gubernatorial Candidate in Kano state, Engr. Abba Kabir Yusuf has been burnt down by thugs. The statement said during the attack, the thugs also vandalized a Volkswagen Golf – III car with registration number NSR 237 AE. wait oo u mean say some mumu people still dey support buhari?